BolehVPN is a Malaysia-based VPN provider that offers top-notch service for a reasonable price. 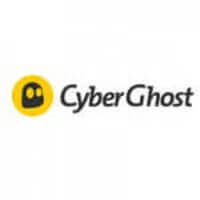 It boasts great speed and excellent overall performance, offers you absolute anonymity, and allows you to access any content that may not be available in your country. It is also optimized for P2P, which means you can use torrents and share data with peers worry-free. Find out more in this detailed BolehVPN review. Both the registration process and downloading and installing the VPN client are as straightforward as it gets. All the user has to do is follow a few simple steps, which are fully explained and require little to no knowledge about the more complex and advanced VPN settings. The client itself is well-designed, with a large font and readily accessible features. It allows you to easily switch between protocols, check server status, and switch between servers. Changing the general and proxy settings is just as simple and gives you full control over your VPN connection. The company has servers in the U.S., the U.K., Canada, Germany, the Netherlands, Sweden, Switzerland, Luxembourg, Singapore, France, Japan, and Malaysia. Though VPN providers that offer fewer servers across the globe usually experience problems with speeds, this company achieved amazing results. Basically, great speed coupled with unlimited bandwidth is what makes BolehVPN one of the favorite providers in the VPN community. Due to the fact that there’s no bandwidth restriction, you can rest assured that your streaming and P2P experience will be better than expected. BolehVPN is one of the rare companies optimized for P2P and strives to provide speed boosts for torrent downloading. 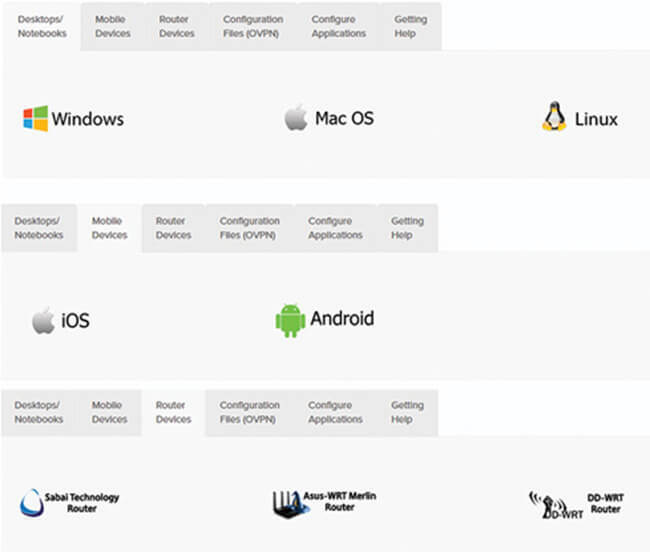 BolehVPN is compatible with all major platforms, including Windows, Mac OSX, Android, and Linux. It is also compatible with OpenVPN supported routers, including DD-WRT, AsusMerlin-WRT, and Tomato. Unfortunately, they don’t have official apps for IOS even though they offer great mobile device compatibility. Users who want to have a secure and reliable connection on more than one device will be happy to know that BolehVPN provides two connections to its customers. Though this is something you would expect from a VPN provider, it’s still good to know that your mobile device can stay protected, in addition to your home computer. We have already mentioned in this BolehVPN review that the company supports all major platforms and allows 3 simultaneous connections, which should satisfy the needs of most users. Apart from letting you choose between two protocols, OpenVPN and L2TP, it also lets you choose between shared and dedicated IP addresses. Many VPN services do not allow P2P sharing. BolehVPN does not only allow it but is also optimized for P2P, allowing you to make the most of it with the unlimited bandwidth you receive with your subscription. Its desktop client (available for Windows and Mac OSX) is easy to use, it is equipped with a full set of features, and offers plenty of information on server status and connection details. It also includes DNS leak protection and VPN kill switch, which are useful features that bring you a high level of security. BolehVPN lets you enjoy the benefits of xCloak obfuscation technology. This is particularly important because some countries use advanced techniques of recognizing VPN traffic and block it when identified. With xCloak, your VPN connection cannot be recognized, so you can use it wherever you want and need. When it comes to anonymity, BolehVPN has done everything possible in order to protect your privacy. Thanks to its offshore location, it has a strict zero logs policy. It allows you to make payments using Bitcoin and other anonymous currencies such as Dash, Monero, Zcash, and Zcoin. It also supports VPN through TOR, which guarantees a high level of anonymity. BolehVPN operates servers in only 13 countries. However, the countries are strategically chosen and the speeds are above average. With its excellent client, you can check Ping times in its Server Status section. This can help you quickly choose the server that can offer you the best speed, which is an incredibly useful feature. The main protocols are OpenVPN and L2TP, with the majority of customers using the first one. Though offering just two protocols might be regarded as a drawback, they will meet the needs of the average VPN user. As far as privacy is concerned, BolehVPN takes pride in the fact that they don’t maintain user logs that can positively identify you, which means that you don’t have to worry whether or not you’ll remain anonymous while you’re using their services. Since they are rather transparent when it comes to privacy issues, the company states that there are only two reasons why they would consider keeping logs for a certain period of time. Those reasons are illegal activities and technical issues. BolehVPN will, therefore, keep logs in these situations until the problem is solved, when they will either take necessary action or permanently delete the logs. When signing up to the website, you are not required to provide personal information, which is always a plus for privacy-minded users. BolehVPN uses AES-256 cipher (128-bit for streaming) with RSA-2048 handshake and SHA-512 authentication. xCloak provides an additional layer of security making it more difficult for your ISP to recognize your VPN traffic. You can contact BolehVPN user support directly through its ticket-based system. The representatives are more than willing to help you with any issues you may have encountered. In general, the support staff is very friendly and knowledgeable so, we had a very pleasant experience during our testing. There’s also a live chat-like interface on the official website, but it only adds a message to the aforementioned ticket system. Keep in mind that their FAQ section is packed with useful information, so we advise you to definitely check it out. Additionally, you can also browse the busier forum threads for an abundance of useful information. 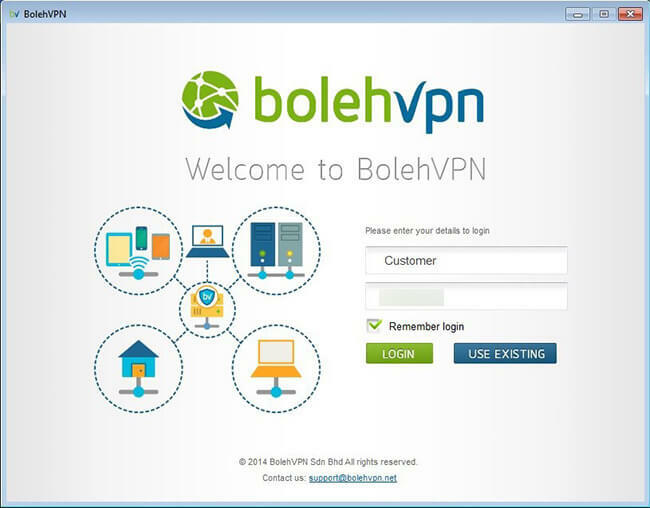 Like most VPN providers, BolehVPN offers the full package to all its customers and the only thing that differs from one plan to another is the subscription period. If you want to subscribe for a month, the cost is $9.99 while an annual subscription costs $79.99. You can also opt for a two-month plan, which costs $16.99, and for a semi-annual plan, which costs $44.99. What we didn’t like was their 7-day paid time trial period that costs $3.70. There’s also the possibility of getting a free 1-day trial period, but not before you contact their sales department. You can also ask for a refund, but you’ll get return your money back only if you experienced technical problems and the company was unable to help you solve them. As we wrap up this BolehVPN review, here’s a quick overview of the features that wowed us and the aspects of the service that could use some improvement. Our ratings are the result of an objective and independent evaluation of BolehVPN, generating the final rating that reflects the overall quality of the company. Ratings may change as the service changes. BolehVPN user rating based on 7 user reviews. Great speed, no dropouts, but could be a bit cheaper. Didn’t expect much, but turned out to be really great. Honest recommendations. We found 0 verified BolehVPN discounts for April, 2019. There are no BolehVPN coupons or discounts right now. Discover the full range of possibilities BolehVPN offers and become an advanced user in no time with our beginner-friendly BolehVPN guides. Whether you are interested in secure torrenting, unblocking Netflix, setting up BolehVPN on all your devices or you simply want to learn more about BolehVPN, you can find verified information and clear instructions in our BolehVPN guides below. Does BolehVPN Work With Netflix? - bringing you great news about BolehVPN’s smart solution for streaming US Netflix from any corner of the planet.